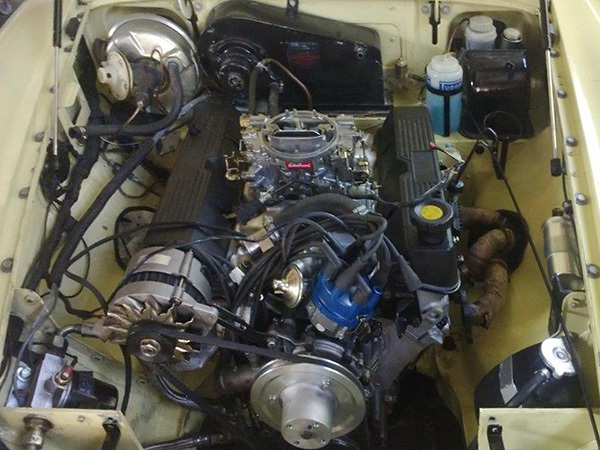 Engine: TVR (Rover) 4.3L aluminum V8. Offenhauser "John Woolf Racing" 7001-DP dual-plane intake manifold. Edelbrock four barrel carburetor (model 1404). 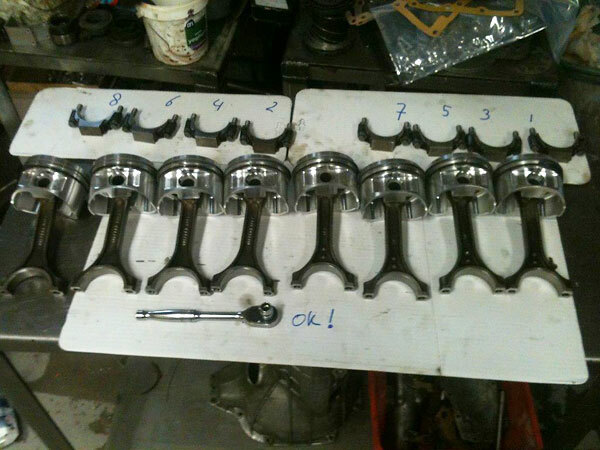 Stock camshaft and valvetrain. Ignition DML8. 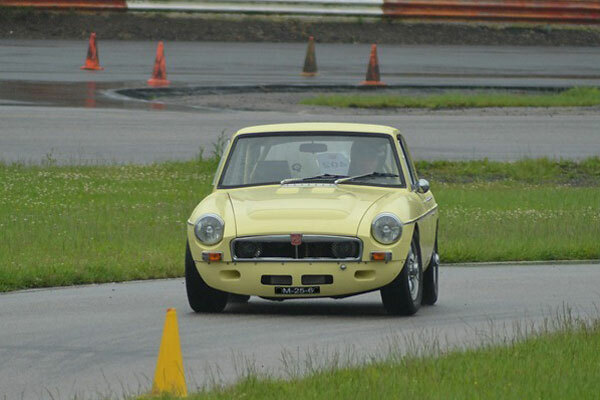 Cooling: original MGB V8 cooling system. Dual electric cooling fans. Exhaust: RV8-style four-into-one tubular exhaust manifolds. 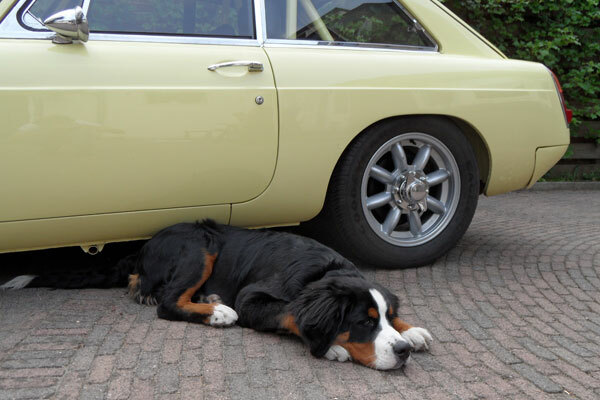 Single muffler. 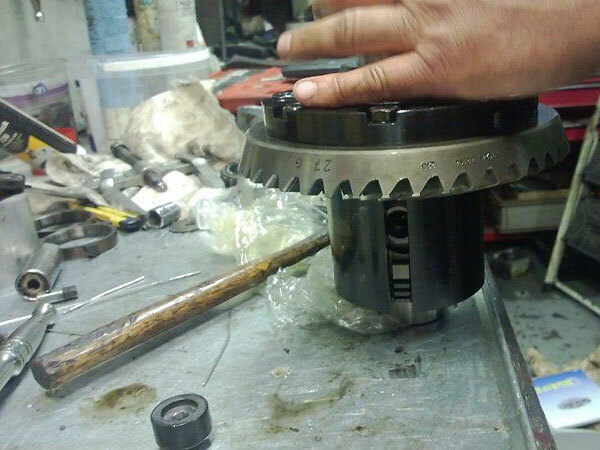 Transmission: Borg Warner T5 5-speed (gear ratios are 2.95, 1.94, 1.34, 1.00, 0.80:1 respectively.) 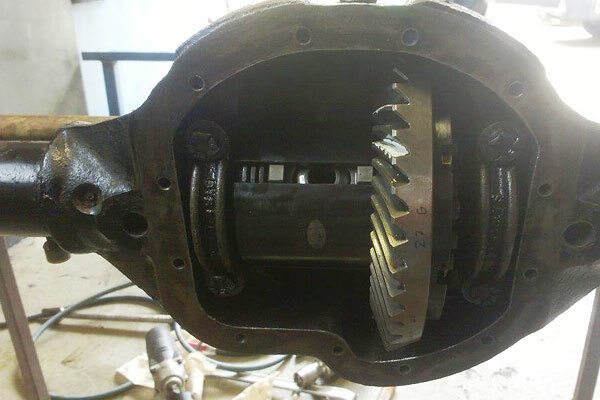 Landrover Defender clutch. 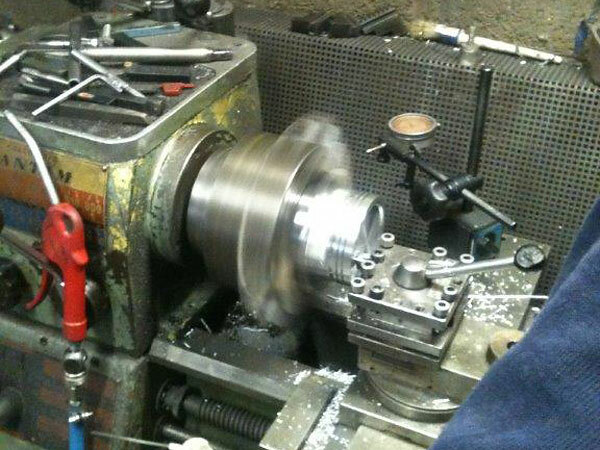 Handmade propshaft. 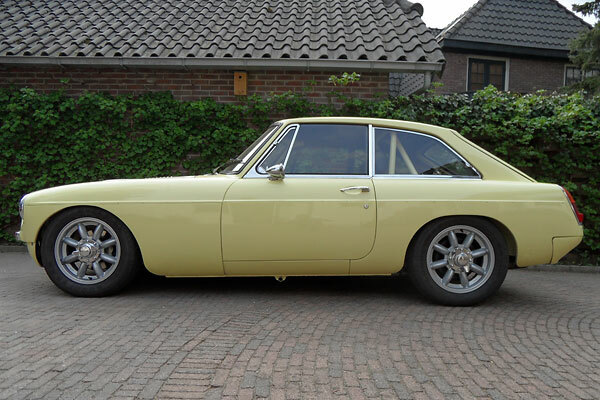 Rear End: original MGB, but a 3:07:1 ring and pinion set on its way. Front Susp. : lowered suspension. Koni shock absorbers. Uprated anti-roll bar. Polyurethane bushes. Rear Susp. 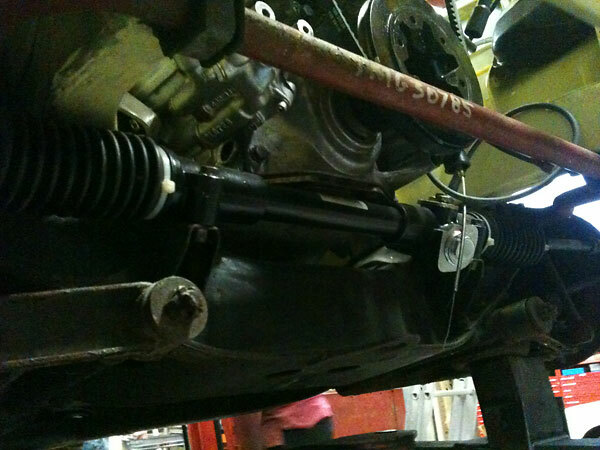 : leaf springs. Koni shock absorbers. Anti-roll bar. Anti tramp bars. Brakes: (master) stock single-circuit master cylinder with remote booster. Wheels/Tires: Minilite 15" center-locking aluminum wheels. Goodyear 195/60R15 tires. 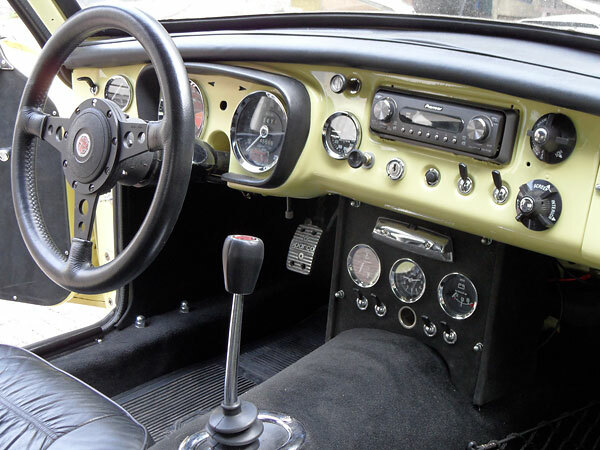 Interior: stock steel dashboard, stripped and repainted primrose yellow. Pioneer 77 classic looking radio with Pioneer compo speaker set. Moto-Lita steering wheel. MG RV8 seats in black leather. Everything else is upholstered in black Alcantara, including the ceiling trim panel. 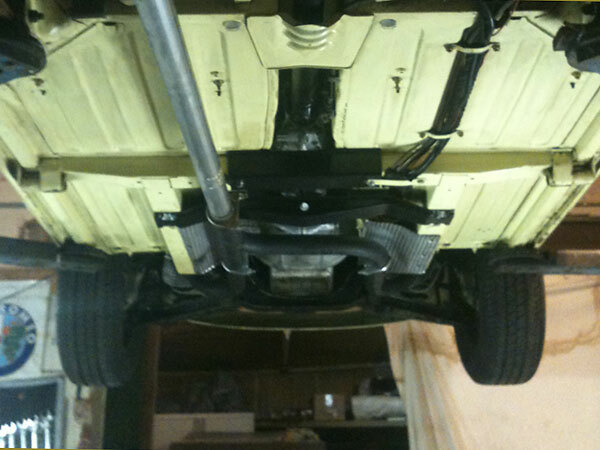 A roll hoop has been installed, painted primrose yellow to match. Instruments: (left to right) Smiths tachometer, speedometer, dual purpose oil pressure / water temperature gauge, oil temperature gauge, clock, and voltmeter. 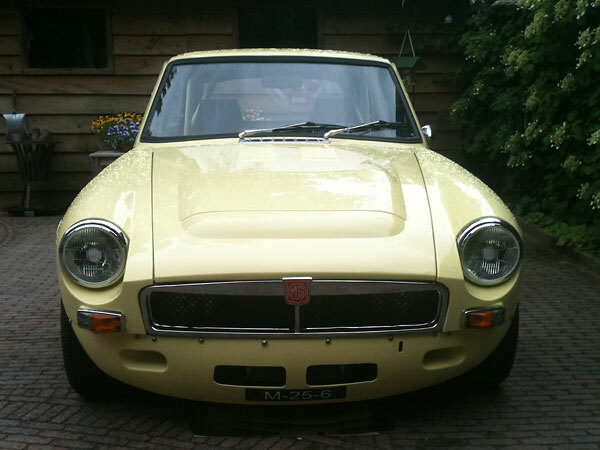 Exterior: MGC bonnet, with louvers added. Streamlining front valance with brake cooling ducts. Streamlining rear valance. Shaved front and rear bumpers. Shaved body side molding. Weight: 1028 kilogram with full gas tank. Performance: 202bhp and 430NM torque. Completed: 15 April 2011. About 2500 miles driven, as of July, 2011. Comments: On the first test drive, fuel percolated in the carburetor. 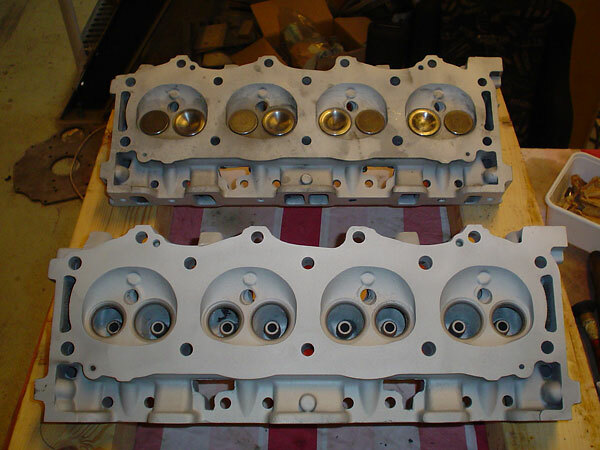 This was solved by adding an spacer between intake manifold and carb mounting. The original rear axle ratio wasn't so good - very short gears - so I ordered a "V8" ring and pinion gear set which will be installed shortly. I haven't had any problems yet. Water and oil temperatures look well. 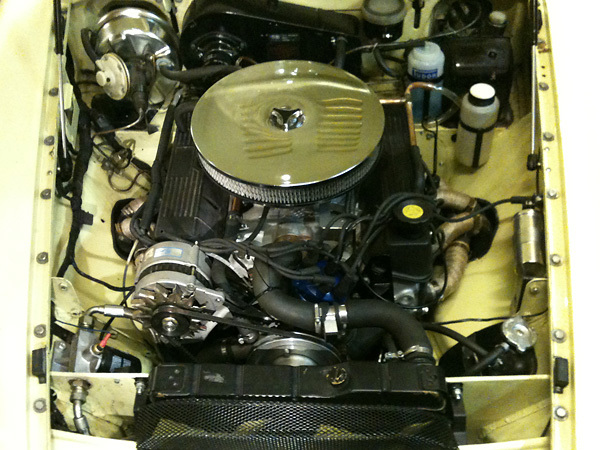 The engine is running very nicely! TVR 4.3L V8 with Offenhauser "John Woolf Racing" manifold and Edelbrock four barrel carburetor. 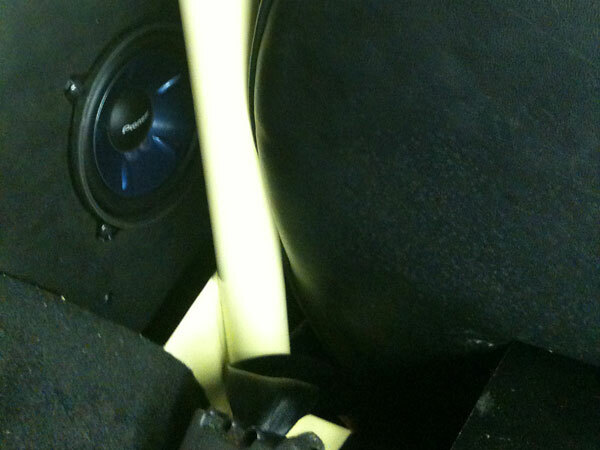 Stock steel dashboard, stripped and repainted primrose yellow. 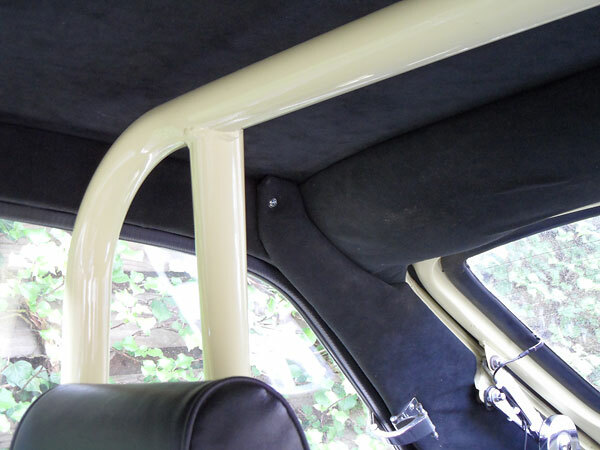 Everything is upholstered in black Alcantara, including the ceiling trim panel. Streamlining front valance with brake cooling ducts. Minilite center-locking aluminum wheels. Goodyear 195/60R15 tires. 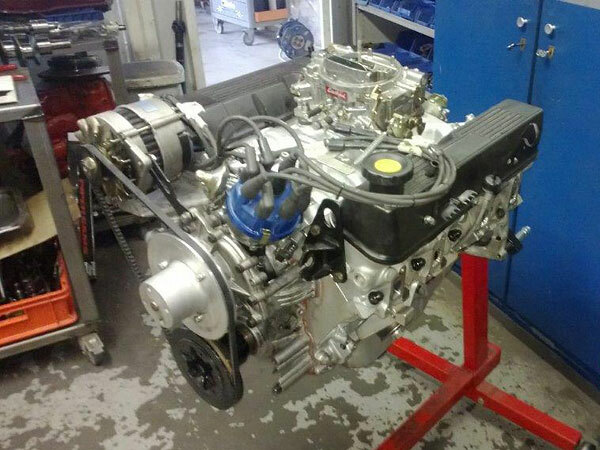 Completely overhauled Rover 4.0L V8 with cross bolted main bearing caps. Inside: Piper 275 camshaft. 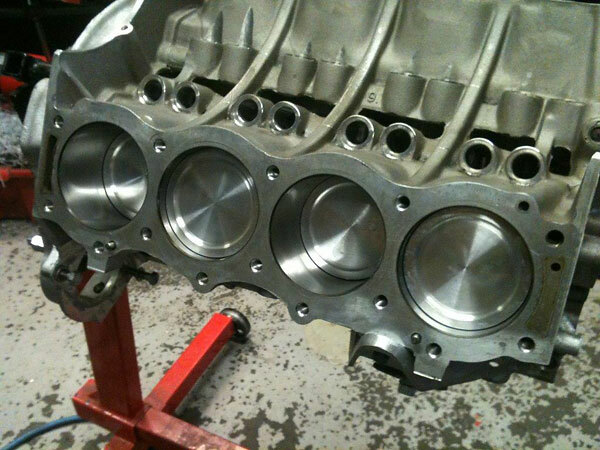 Intake and exhaust ports have been polished. 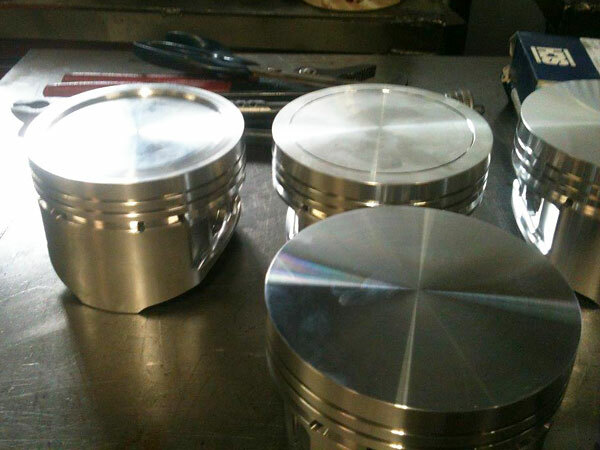 Custom made pistons from JE Pistons. Dishes have been cut to achieve the desired compression ratio. With dish as shown at left: 10.5:1 static compression ratio. This engine produces 286 horsepower and 350Nm torque. 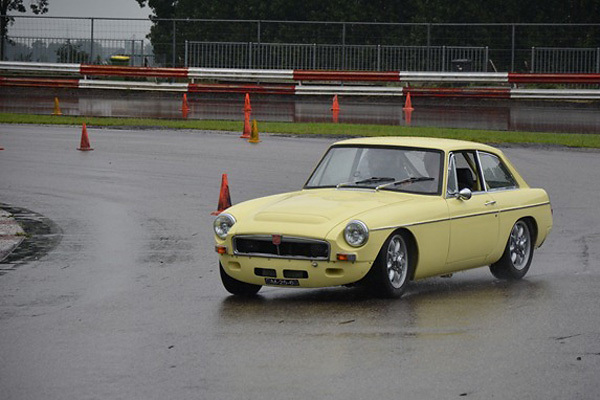 Elsewhere on the car: 420#/in front suspension springs and 1" front anti-roll bar.